Offered for the first time since 1937, this home offers outstanding sunset views over Lake Harriet. Oversized 0.34 acre lot. Lake facing public rooms include music room, living and dining rooms. Large lake facing terrace. Kitchen updated in late '80's. Original Mediterranean style home was expanded in late 1980's to include a main level family room and 2-story gallery, as well as suspended upper level lap pool. Attached double garage, accessed from Humboldt Avenue. Directions: Lake Harriet Parkway just north of W 47th Street. I was searching for a Property and found this listing (MLS #5018425). I would like to schedule a showing for 4637 E Lake Harriet Parkway Minneapolis, MN 55419. Thank you! I was searching for a Property and found this listing (MLS #5018425). Please send me more information regarding 4637 E Lake Harriet Parkway Minneapolis, MN 55419. Thank you! 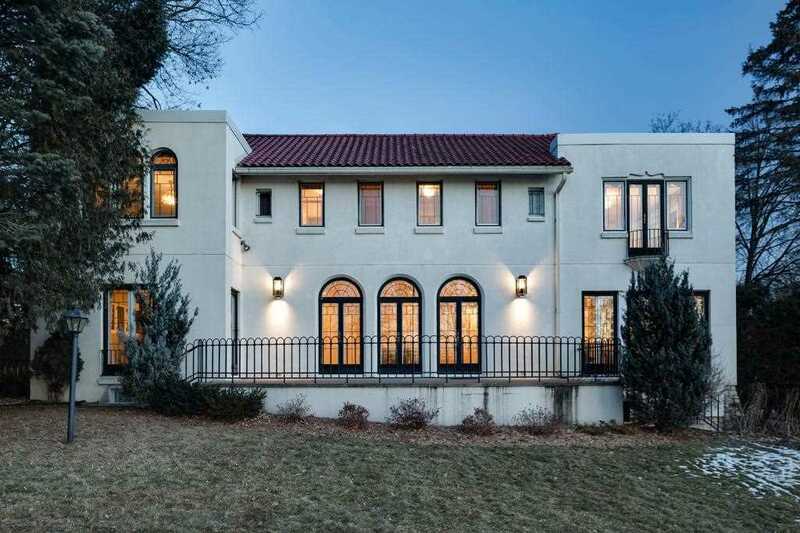 MLS # 5018425: This property at 4637 E Lake Harriet Parkway, Minneapolis, MN 55419 is located in the Lynnhurst subdivision and is listed for $1,300,000. MLS # 5018425 has been on the market for 85 days.